Soy Sector Extends Moratorium On Amazon Soy. Now, Can They Expand It? Ten years ago, the soy sector stopped buying from farmers who chop the Amazon to plant soybeans, and the percentage of deforestation attributed to soy plunged from 30% to 1%. This week, they renewed that moratorium, amid calls to expand it – both beyond the Amazon and beyond just soy. 11 May 2016 | The Amazon rainforest has been called the “lungs of the planet”, but it’s constantly under pressure from agriculture expansion and encroaching development. Though, the remaining rainforest can breathe somewhat easier this week as industry associations responsible for the Soy Moratorium decided to renew it. New research reports that just .8% of deforestation in the Amazon can be attributed to soy – Brazil’s most profitable crop – over the past two years while soy production has doubled in the last six years. Put simply, “soy is not a relevant vector of deforestation in the Amazon Biome”, says Carlo Lovatelli, President of the Brazilian association Associação Brasileira das Indústrias de Óleos Vegetais (ABIOVE Brazilian Vegetable Oil Industry Association), one of two industry groups responsible for initiating the Soy Moratorium. Unfortunately, she adds, deforestation doesn’t just continue in other geographic areas like Argentina and Brazil’s MATOPIBA Cerrado region, but in different commodities within the moratorium region. Soy slipping down the list of key deforestation drivers in the Amazon is a big deal because soy is part of the big four forest-risk commodities that are hugely responsible for tropical deforestation on a grand scale. According to the Union of Concerned Scientists, 480,000 hectares of tropical forest is lost every year due to soy production. The organization documented these four commodities, soy, palm oil, cattle and wood, while noting other goods like coffee and sugar, which are often thought of as having a large impact on forests, don’t come close to matching the footprint of these four. 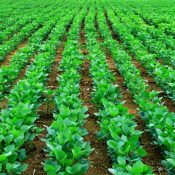 Similarly, the Ecosystem Marketplace/Forest Trends online tool tracking corporate sustainability commitments, Supply Change, limits its tracking scope to focus exclusively on these four commodities, one of which is soy. ABIOVE established the Soy Moratorium a decade ago, with the Asociación Nacional de los Exportadores de Cereales (ANEC Brazilian Grain Exporters Association), in an effort to address the deforestation explosion in the Amazon. Greenpeace published a report in 2006 highlighting soy’s role in this massive forest destruction and linking it to the supply chains of big, well-known brands. Soy producers, traders and buyers initiated the moratorium, a first-of-its kind agreement among private sector players committing to action, in collaboration with civil society and NGOs as a response to this unflattering public attention. Large companies like McDonald’s and Wal-Mart pledged to stop using soy grown on cleared forestland and traders like Cargill committed to stop buying the crop from farmers who were deforesting. The moratorium covers 90% of soya production in the Brazilian Amazon. According to Forest 500, an initiative rating entities wielding the most power to stop deforestation, it spans 8 million hectares and 62 municipalities. The agreement prohibits trading, acquiring or financing soy generated from deforested lands post-2008. Though set to expire in January 2015, the Soy Task Force, the group the associations and NGOs tasked with implementing the moratorium, extended it to this month before again renewing it. Ryan Sarsfield, the Latin America Commodities Manager with the World Resources Institute’s Global Forest Watch, doesn’t anticipate the most recent extension as significantly altering supply chains or the way in which soy is sourced in the Amazon, as the renewal is a continuation of the work already being done. The current extension will continue as long as it’s necessary – which sources close to the project say means until the government is able to step up. The Brazilian company specializing in agribusiness and forestry satellite data, Agrosatelite Geotecnologia Aplicada completed the recent report on deforestation rates attributable to growing soy. The Soy Moratorium relies on satellite data and mapping technology to monitor changing dynamics in the Amazon forests, searching for the responsible party. Sarsfield notes this data, saying the creation of Brazil’s Amazon monitoring system is a critical ingredient for the moratorium’s success. “The development of the monitoring system – made possible by political will and collaboration among NGOs and the soy sector – is a great achievement that essentially eliminated deforestation for soy production in the Amazon,” he says. Last year, Gibbs assessed the moratorium’s impact on decreasing forestland converted into soy fields and found just 1% of soy expansion came at the expense of forests. Interestingly, her research showed soy farmers were more likely to violate the country’s Forest Code than the moratorium. Environmental legislation in Brazil is considered stringent and complex, and when considering the range of the Brazilian Amazon-six times the size of Texas-also difficult to implement and enforce. Even so, the Soy Task Force is aiming for compliance. In its news release, ABIOVE notes increasing awareness on the Forest Code and supporting soy farmers so they’re able to align their operations with it. But this is further evidence of the private sector’s necessary role in this issue. The moratorium reinforces the idea that private sector interventions will be needed in the long term to maintain the deforestation-­free production of soy, Gibbs added. Her University of Wisconsin study also found that while soy-driven deforestation decreased in the Amazon, it increased in other parts of Brazil, like the Cerrado savannah, a biodiversity-rich ecosystem WWF considers one of the most threatened and over-exploited regions in the country. Sarsfield says implementing a moratorium in the Cerrado would be extremely difficult to pull off politically as it would include Brazil’s core production area. Plus, Brazilian law permits clearing of 65% of natural vegetation in the core production area, he says. Sarsfield explains that though the moratorium in the Amazon was controversial, the region was responsible for a small fraction of Brazil’s soy production. And so the sacrifice to forgo expansion was relatively minor, making it easier to support and implement. However, a moratorium in the Cerrado or even in other regions referring to different commodities isn’t completely out of the question. “Most traders have already committed to zero-deforestation, and collaborative efforts with each other, the government, and civil society going forward might very well look to the Soy Moratorium as a political model for how to achieve their goals on time,” Sarsfield says. Though far from perfect, Lovatelli of ABIOVE is pleased with the progress the moratorium has made. And this progress stretches beyond the moratorium’s ability to decrease, almost to zero, soy’s role in destorying the Amazon rainforest, Lovatelli explained in a statement. “Over the last decade, we have built a special relationship with civil society organizations and the Ministry of Environment that is based on transparency, trust and credibility,” he said. Correction: An earlier version of this article said the Soy Moratorium covers 90% of Brazil’s soya trade. The moratorium only applies to soy grown in the Amazon.